The Recession is affecting sentiments even in heaven. The Gods and Angels have implemented cost cutting measures. One God in particular is very sad. He is the most frustrated God in all of heaven. The recession has only worsened his mood. Allah is unhappy that the Mujahideens use his name to kill civilians. Jesus Christ is chilling out after the crucifixion but has to deal with the 16th Benedict who doesn’t like condoms. But handling India is difficult for one God alone. That’s why in Hinduism we have more than Thirty Million Gods. I worship God Ganesha, our body structures are similar. But the unhappiest of them all is God RAM. Just think about the enormous pressure God RAM is under. 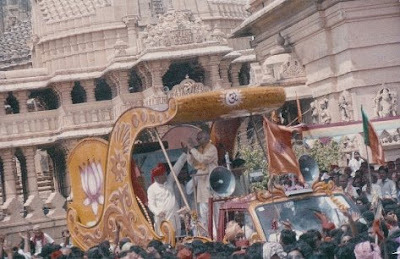 L.K Advani uses the name of God RAM and does free Rath Yatra. His friends want to build a RAM temple. The Congress wants to build over the RAM Sethu. The poet Kamban wrote to me issuing a clarification about Lord RAMA’s bridge. And now Varun Gandhi is saying ‘JAI SHRI RAM’ and getting caught with the Election Commission. 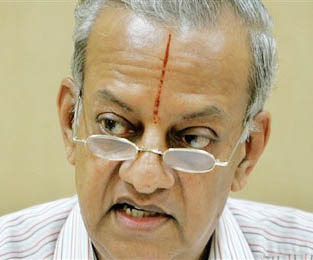 The Election Commission is headed by a man who is An Iyengar.He wears a red line to tell the world that he worships God RAM. He is currently fighting with his number two who also worships God RAM. One God, so many problems, no wonder the good Lord RAM is suffering from High Blood Pressure. Varun Gandhi is busy telling the Election Commission that the CD was doctored. I don’t like Varun Gandhi because his doctored CD was made using CD’s of the company Moser Baer. Moser Baer is a horrible company. It is run by the bear cartel hence the name Moser BAER (B E A R). But only Varun Gandhi can help out God RAM because the man who doctored Varun’s CD is also a doctor. He appears on television and in the paper. His name is Doctor Batra.A man/doctor best known for providing mass loss pills and hair growth pills. The Lord RAM needs the help of the Homeopath to keep his BP low so that the Psychopaths don’t spoil his name. 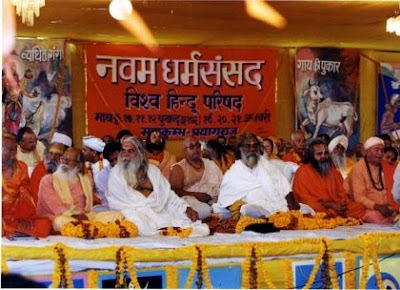 God RAM can also try Yoga under the guidance of one Baba RAM Dev.Baba RAM Dev can jog in one place for many hours. 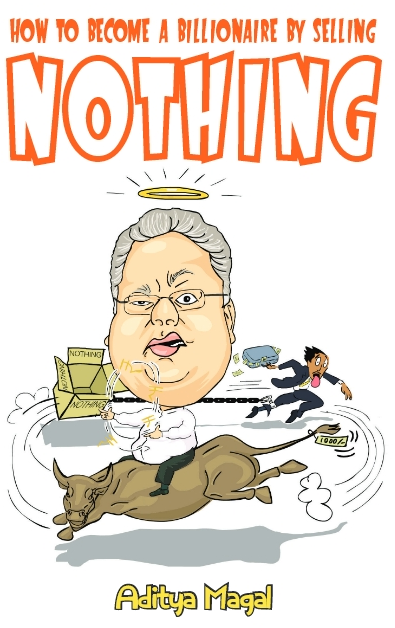 He was at the BSE a few days ago and taught me also to jog in one place for many hours. Through the practice of Yoga God RAM can control his Blood Pressure and lead a healthy life. That is until the next time someone says ‘Jai Shri RAM’. Together Doctor Batra and Baba RAM Dev will help God RAM to get back on his feet. If God RAM gets too harassed he can always sue Varun Gandhi for copyright infringement.RAM Jethmalani will easily agree to represent him in court. The God’s life story is inspirational. If he wants he can get a movie made on his life by RAM Gopal Varma. There is only one God RAM but there are also many RAM’s.